﻿ L'Esterre is a village along the road paralel Paradise Beach. L'Esterre is a village along the road paralel Paradise Beach. 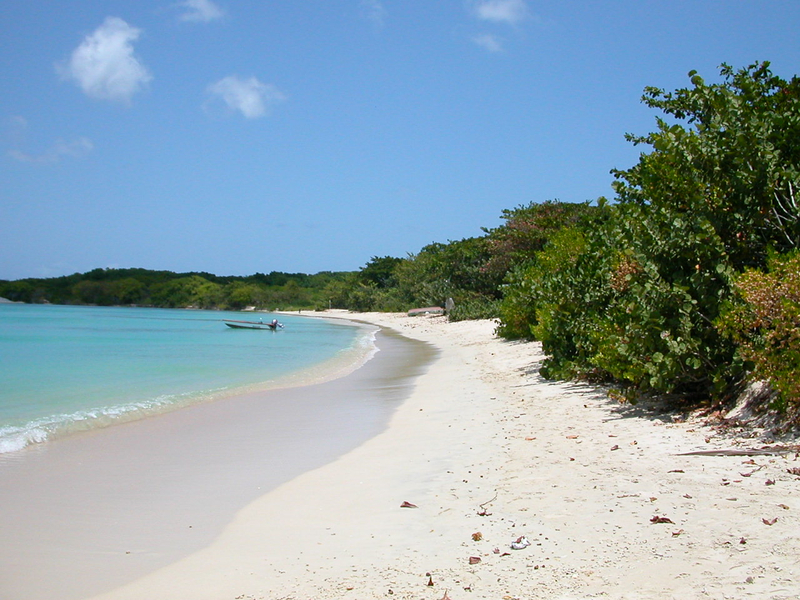 Paradise bay is the most popular and still deserted beach of Carriacou. Beautifull white sand beach and by watertaxi at a few minutes from Sandy Island. 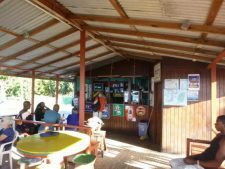 Guides » L’esterre and paradise beach on Carriacou. L’esterre and paradise beach on Carriacou. L’Esterre is a village that mainly consists of one road with construction on both sides. It is constructed along L’Esterre beach, better known as Paradise Beach. The people of L’Esterre are, like most Kayaks, mostly from African origin. A few people have Indian ancestors, while there has been a slight influence from European (read scottish) countries. 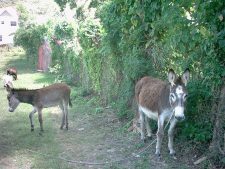 The language that is spoken in L’Esterre is English like on the rest of the island, but here you will find more presence of Patois then in the other villages. This patois is a mix that has developed over the centuries, and has quite a bit of french influences which can be clearly noticed when you hear it spoken. On de road in L’Esterre. 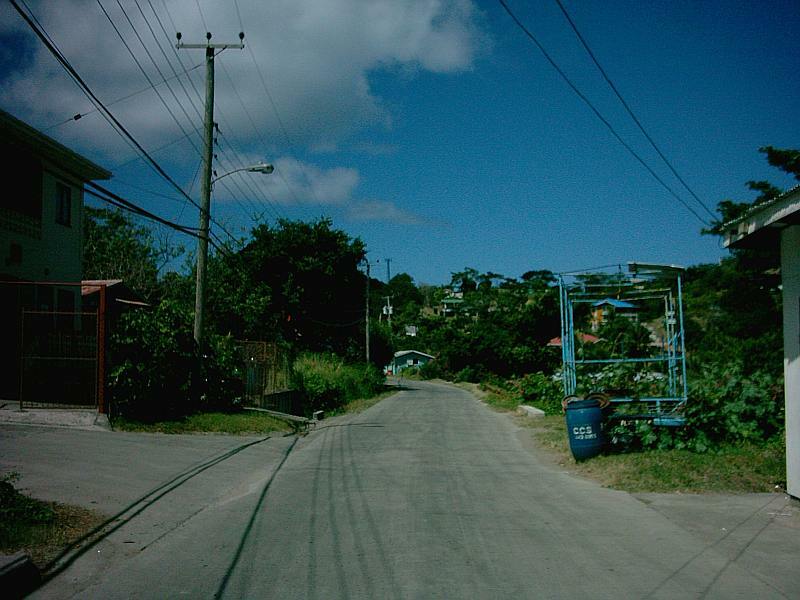 L Esterre road on Carriacou. 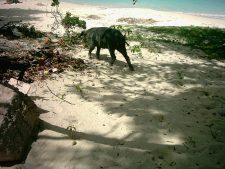 Paradise bay is the most popular and still deserted beach of Carriacou. 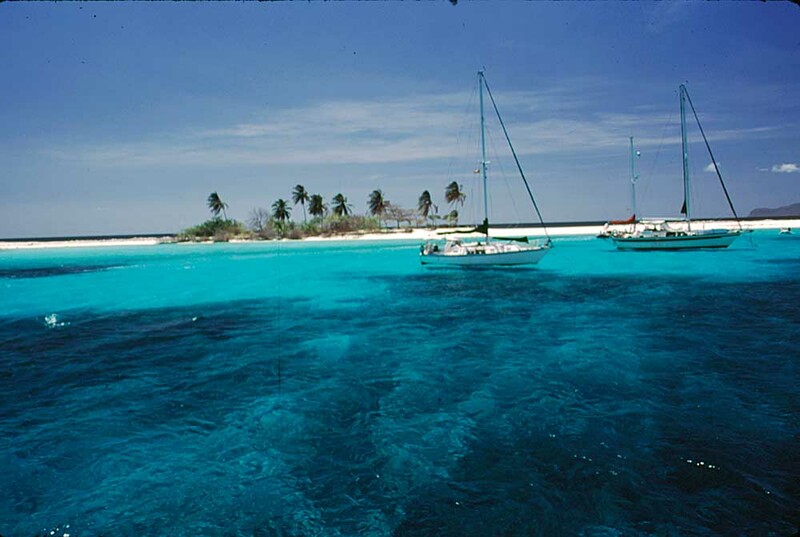 Beautifull white sand beach and by watertaxi at a few minutes from Sandy Island. Mabouya island in front of paradise beach. Viewing northside of Paradise beach carriacou. Sandy island with anchored sailboats. 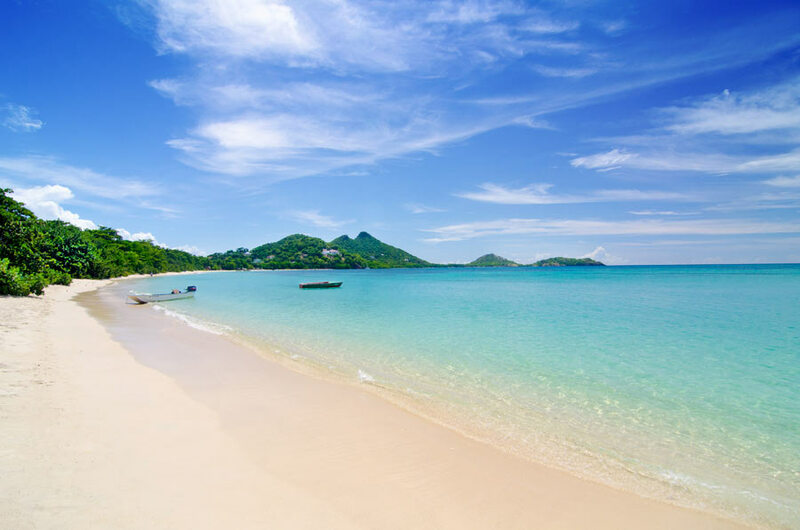 L’Esterre lies conveniently between Tyrell Bay and Hillsborough, and is the most visited beach on Carriacou. Most visited meaning , that probably there will be more then 2 people on the beach during the day, but rarely more then ten along the entire stretch of beach, approximately 4 kilometres long. On the path to Paradise beach. Adam’s Eve is a guesthouse on the beach. Blue house rooms is a three room guesthouse from Jo Adams. Hope’s Inn offers basic rooms with shared facilities on a prime location at the beach. Sherrine’s is a guesthouse at Lauriston, close to Paradise beach. Snakepit apartments are at Cobra’s place, about a hundred meters from the beach. Transport to the other villages is easy… just stand along the road and wait for a mini bus to pass by. Wave your hand and get a ride to town for a few EC Dollars. Oink Oink, time for a seabath. 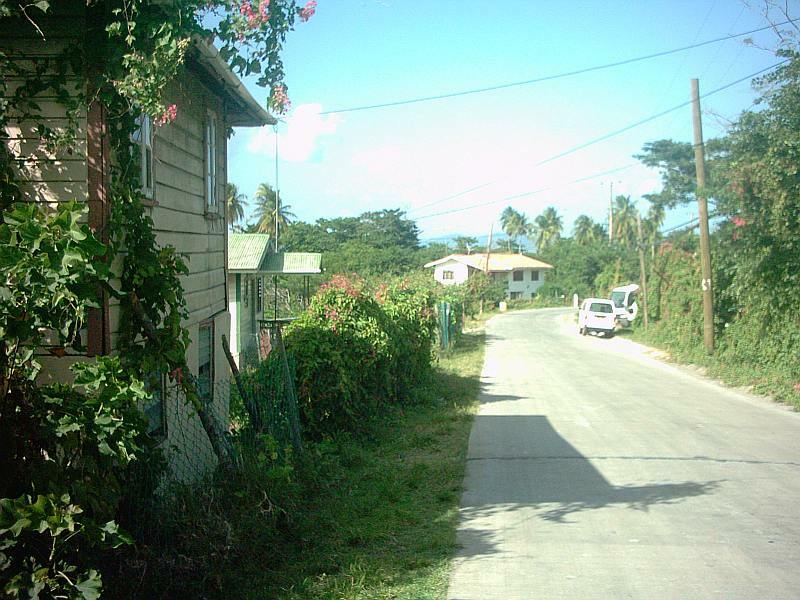 Between the main road and the beach there’s a strech of about two hundred metres with fields and the occasional houses. That keeps the view of the shoreline almost completely free of construction. 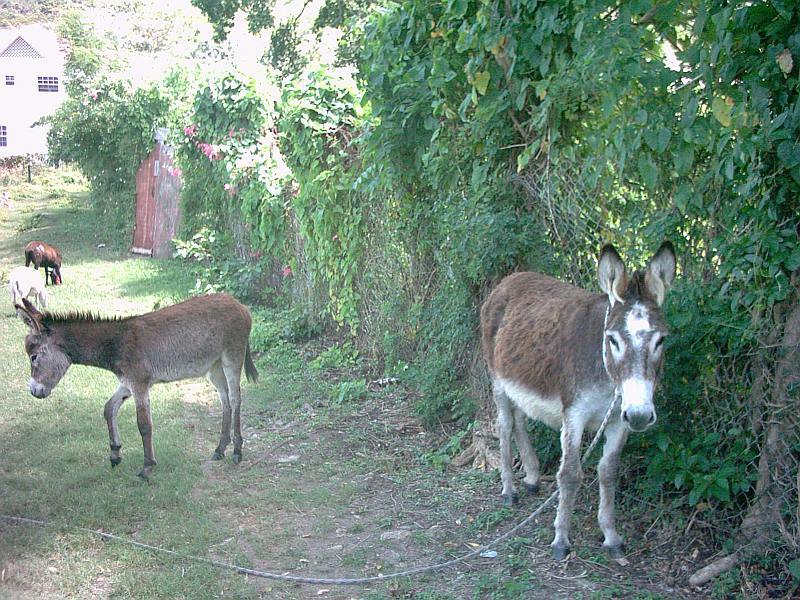 Farm animals walk free around here. It is not an uncommon sight to see someone walking on the beach with his pig on a line to give it a bath in the sea. The way of life here is as it used to be in many other places some 75 years ago. People here still respect each other, a common thing to hear when you walk around is someone asking you: allright? Just to say hello and be friendly. Something that we are not used to anymore in the busy life in big cities. Mr Alexis Grocery store and Dyan’s groceries are on top of the road from Paradise Inn (2 min. walk) Basic groceries on sale. Barbas shop (3-4 min walk) sells a lot of nice and affordable clothes, beachwear, wraps, beach towels, kitchen utensils, bags, underwear etc. at affordable prices. In Crossroads (5 min. walk) the Tyreshop repairs tyres, offers rum and beers, and lovely ice creams…. A little further you can find the local bakery, the tailor shop – also offering pop-corn, and a few grocery stores. In Crossroads you also find Uncle Tom’s, a place everyone passes during the day to hear the latest happenings, and to have a chat with fellow villagers. Hardwood bar and snacks on Paradise beach. Joy and Boe invites you to reasonable lunch or dinner on the beach. Here you can enjoy a drink in beautiful surroundings, approximately 5 minutes walk up the beach from Paradise Inn. Putty is a bus-driver, DJ and he also runs a bar/snacket on Paradise Beach. Here you can come dancing every Friday night until early morning. On Sunday he plays music on the beach all afternoon and early evening. 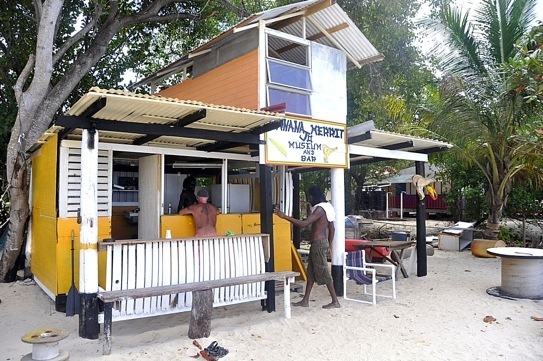 Situated next to Hard Wood Bar, 5 minutes walk up the beach. Sandra has made a 20″ container into a colourful boutique selling t-shirts, jewellery, beach-wear, knitted garments, postcards and other souvenirs. Septimus Hardware store, a few essential groceries, rum-shop and barbecue chicken. In the week-ends he also arrange dances and domino-matches in Lime-light disco in the same building. Hopes Inn Guesthouse is on the beach. Nourin’s shop is a mall snack-shop where you can come and have a roti (Indian bread with different kinds of filling), fish & chips, chicken and chips, a beer, a rum, watch TV, and have a chat with everyone passing on the road. Crossroads is a small group of houses and shops between L’Esterre and Tyrell bay. 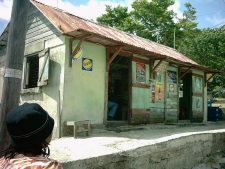 Illustrative for the shops on Carriacou is the tyre shop , which sells tyres and icecreams. The most curious of combinations but very convenient. There is a primary school on the road in L’Esterre and a few shops and bars. 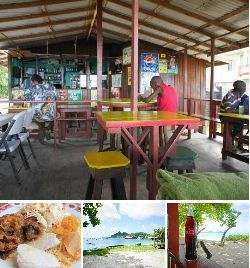 Carriacou is the most southerly of the Grenadines, situated 20 miles north of Grenada, latitude 12,5 degrees. 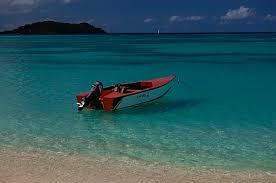 It has an area of 13 square miles and is the largest of the chain of islands between Grenada and St. Vincent. Don’t forget to visit the renowned Sandy Island just east of Carriacou (right in front of our hotel). This tiny island serves as the symbol of the ideal tourism destination – pure white sand embraced by turquoise blue waters (the Caribbean dream). 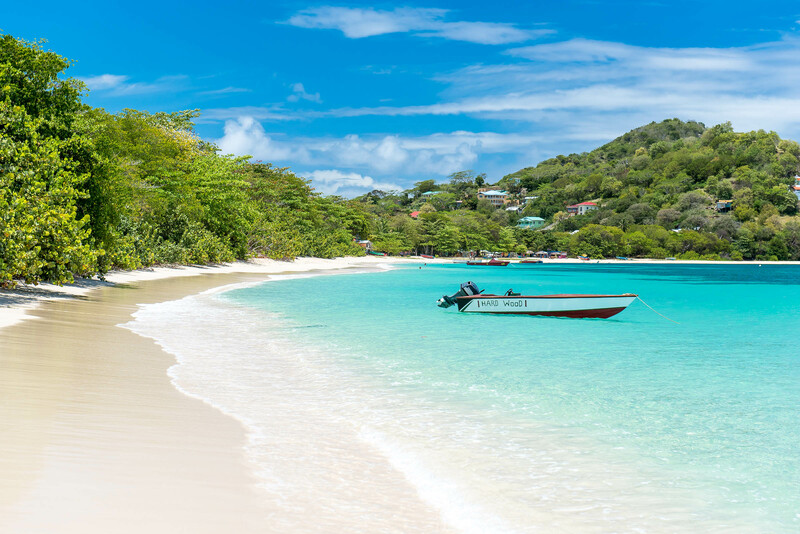 While in Carriacou whether your choose to explore, snorkel, swim, dive or simply stroll, you will experience the special lure of this gem and its islets. Come enjoy, retuning again and again to bask in what one might refer to as the ‘paradise for water lovers’, and escape from the routine of daily living, and when you leave take only good memories, leave nothing but footprints. Boat building and launching is a major tradition. Pre-Lenten Carnival, August Regatta and the Yuletide Parang Festival have also contributed to its fertile heritage. In April the last years Carriacou has also hosted a Maroon Festival, a great success, featuring local and international artist performing in music, dance, drumming, etc. Local cooking is also a major part of the festival, and one day of the festival you can get everything for free, just like in the traditional maroons where one village invites the other villages. Miss piggy goes bathing on Paradise Beach. at 0.11 km. Paradise Beach pictures, bars restaurants and lodging. at 0.14 km. On Paradise beach looking north. at 0.24 km. Sunset on Paradise Beach. at 0.24 km. Whaleboat at Paradise Beach. at 0.34 km. L’Esterre road. at 0.37 km. View of Sandy Island from Paradise Beach. at 0.42 km. Rainbow on Paradise Beach. at 0.54 km. Drying fish on Paradise Beach. at 0.61 km. Turtle laying eggs on Silver Beach Carriacou. at 0.76 km. Osprey ferry and flights to Carriacou with SVG Airlines. at 0.87 km. Next: Windward and the boat building tradition.